This building was a Belk-Tyler’s Department Store circa 1935 and has been several restaurants in more recent years. 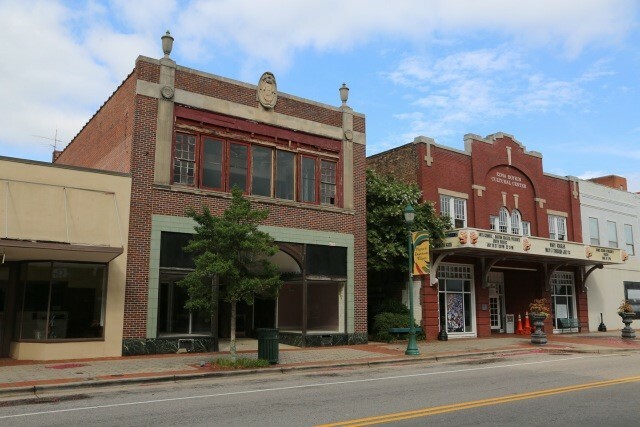 The building is located beside the Edna Boykin Cultural Center which hosts many performances and events throughout the year. The owner recently completed extensive cleanup work and a roof replacement.